The new year just started and it looks like the nation is still busy getting rid of its hangover. Sure, there are some political discussions going on in Berlin, but they turn out to be rather lame. Virtually all statements coming out of the capital are soaked with regret. Regret about the upcoming Brexit. Regret about the fact that Elizabeth Warren is not President yet. Regret about the difficult year 2018, which was just flushed down the toilet. Regret about regret. In a situation like this one, during the holidays, what could have been more gratifying than another discussion about wolves? Instead of just enjoying her Christmas Stollen, agriculture minister Julia Klöckner, one of Chancellor Angela Merkel’s conservatives, started it. To be precise: Klöckner wrote a letter to her colleague, environment minister Svenja Schulze, in which she said she wanted to have the wolf population decreased. “All legal potentialities” for a reduction “should be exploited”. A “moderate regulation of the wolf population” is what she wants. In other words: Minister Klöckner wants more wolves shot. The beauty wants to kill the beast. She wants them turned into dog food, lasagna or hamburger patties. While doing some thinking and writing over Christmas, she reopened a big discussion which occupies the entire nation on a regular basis. And she did the German press, including this English-language publication, a big favor. Some commentators already sound like they need a Valium or two. 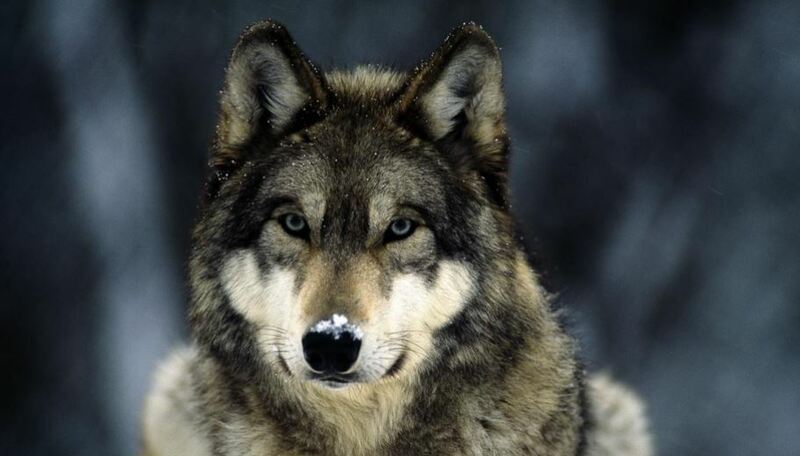 This wolf should be on the cover of ‘Vogue’, because of its beauty. “When will our wolf politics commence getting the grazing animal husbandry out of the danger zone?”, the Frankfurter Allgemeine Zeitung daily asked during the last hours of the old year. Two days into the new one, no answer has been read or heard anywhere. Considering the wolf in Germany was extinct for decades, there are quite a few of these beautiful animals roaming the woods. In the province of Brandenburg alone, 26 packs of wolves are supposedly active. In all of Germany, there are 73 packs, according to the Federal Agency for Nature Conservation. Experts say there are loner wolves too. Packs usually consist of 5 to 15 animals. What this means is that there are at least hundreds of wolves in Germany, maybe even more than a thousand. Another fact is that they are multiplying almost like rabbits. The big question is whether that development is positive or rather scary. While Germany’s Greens are excited, saying the growing wolf population was a “success in the field of species conservation”, others show far less enthusiasm. A year ago, the Berlin Bundestag discussed the subject. In the summer of 2018, Angela Merkel’s government coalition took a decision according to which only “conspicuous wolves” may be shot. This means wolves in Germany are sort of protected, which is why their population is continuing to grow. But Julia Klöckner, the minister with the lasagna approach, seems to have changed her opinion. It is only a matter of time until she might pick up a rifle herself. Of course the animals this is all about have interests. Wolves do not go to McDonald’s. They kill and consume sheep, goats and cows. But the latter do not want to be eaten. Well, they don’t want to be eaten by humans either, but that’s a different story. Is it not? Shepherds and farmers do not want their livestock to be killed either. Some farmers in north-western Germany have described “cruel scenarios”. The sheep they left grazing on the pasture looked very different when they returned to pick them up. Piles of bones were left. Then there are humans who do not want to become lunch for a pack of wolves either. But there is good news: So far, since the wolves returned to Germany, not a single person has been seriously injured or killed by those animals. It is a good sign which may mean the lupus is shy when it comes to hikers in forests. We do want to meet wolves in fairy tales such as ‘Little Red Riding Hood’. Just like the Grimm Brothers, Sergei Prokofiev (‘Peter and the Wolf’) was definitely fascinated by wolves. The solution to the wolf problem is to do a better job protecting livestock in the regions most affected by the good old wolf. Just a tiny question remains open: How can that kind of protection be achieved? Should there be signs saying “Get lost”? Should there be higher fences or a wall around sheep, paid for by Mexico? 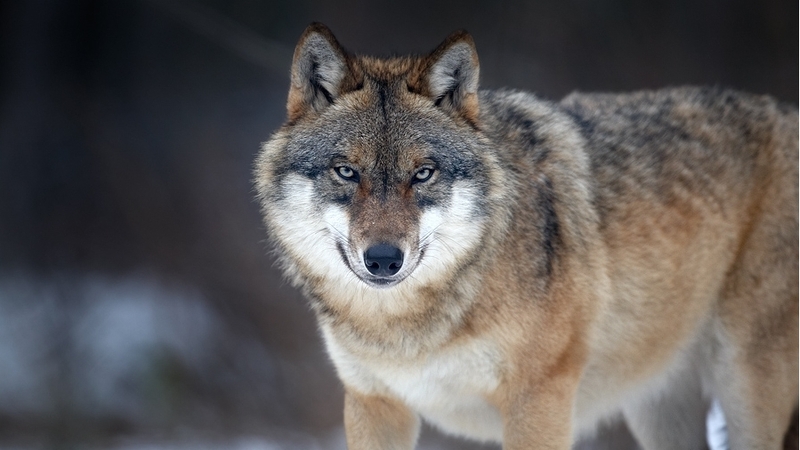 One movement in northern Germany is already calling for “wolf-free zones”.